How Does a Fixed Lens Camera Differ From a DSLR? A fixed lens camera has many different meanings, but the term typically is used to describe a digital camera that often looks like a digital single lens reflex (DSLR). The biggest difference from a DSLR is that the fixed lens camera cannot use interchangeable lenses. Technically, a fixed lens camera is any camera that doesn't make use of interchangeable lenses. So fixed lens cameras can range from the large zoom cameras that look like advanced cameras to cameras with retro-looking cameras with large image sensors to tiny point-and-shoot models. You could even call a cell phone camera a fixed lens camera, by the strictest definition of the term. However, you'll find that the term fixed lens camera is used most often to describe the large zoom cameras that look a bit like DSLRs. The term helps to differentiate such cameras from DSLRs. Under this more restrictive definition, you'll find that fixed lens cameras typically offer very large zoom lenses, and they usually cost more than point and shoot, beginner models. Some fixed lens cameras can slightly add to their zoom and wide angle capabilities through the use of conversion lenses, although this is rare. Some people also refer to these large zoom, large body fixed lens cameras as DSLR-style cameras. The most basic fixed lens cameras usually will offer some sort of optical zoom setting. They're also usually very thin cameras, where the lens retracts inside the camera body when the camera is powered down, allowing you to carry such a camera in a pocket. The Canon PowerShot SX610 HS camera is a basic fixed lens model, offering an 18X optical zoom lens. An advanced fixed lens camera has been a category that is growing quickly. Such advanced cameras usually have a small zoom lens, trading a large telephoto setting for a wide open aperture, giving the photographer more flexibility in the type of images he or she can create, including the ability to blur the background. Such advanced fixed lens cameras will have a large image sensor too. The Fujifilm XF1 camera is an example of an advanced fixed lens camera. Keep in mind these cameras usually are very expensive. The large zoom fixed lens camera can be a popular option, because it can achieve a telephoto setting that is difficult to match with any other type of camera, even a DSLR. Such large zoom fixed lens cameras can serve as a bridge for an intermediate photographer looking to migrate from a beginner camera to a DSLR. 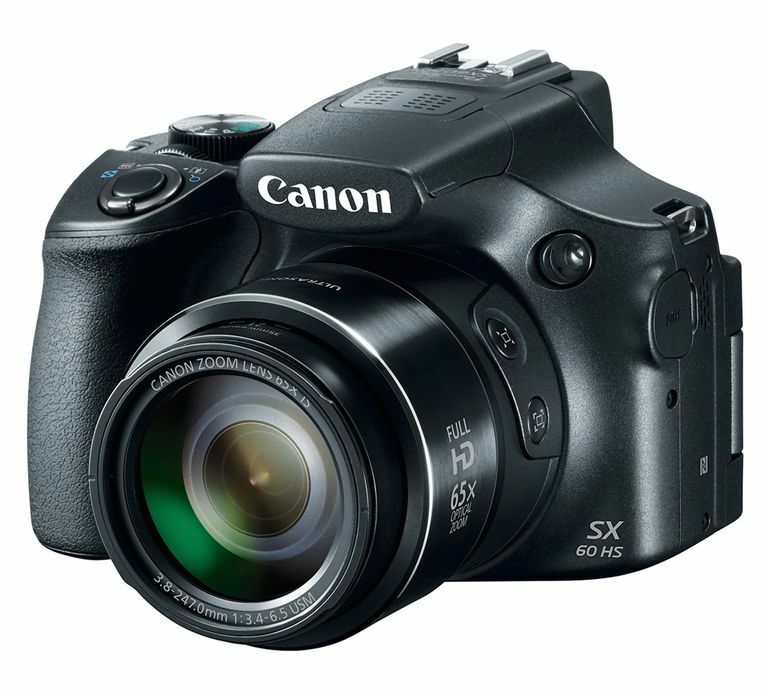 The Canon SX60 HS camera is one such model, offering a 65X optical zoom setting. Digital Camera Glossary: What Is a Scene Mode?